Last month, SOCMA members traveled to Capitol Hill for the 7th edition of the SOCMA Washington Fly-in, an event that offers participants the opportunity to meet with U.S. Representatives, Senators and their staff to discuss how policy decisions will influence the specialty chemical industry. Dave Mielke, ChemDesign President and CEO, attended the event for the first time this year, representing the SOCMA Board of Governors. He met with the Wisconsin 8th District Representative as well as staff from both U.S. Senate positions. “As a first time attendee, I was impressed with the strong recognition Bill Allmond and his team at SOCMA have with legislators. With a relatively small office staff, it takes perseverance and commitment to build relationships and have a voice in Washington,” states Mielke. Passage of TSCA Reform: The Toxic Substance Control Act (TSCA) was enacted to protect human health and the environment from potential risks resulting from exposures to industrial chemicals. SOCMA members believe the time has come to reform this act so that it promotes innovation. Passage of MTB: Congress failed to pass the Miscellaneous Tariff Bill (MTB) last year. 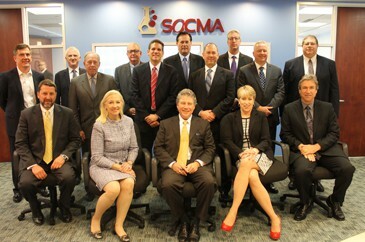 SOCMA members are now dealing with a tax increase on products that are imported. Renewal of Research and Development (R&D) Tax Credit: Due to the highly innovative nature of specialty chemical manufacturing, the R&D tax credit is needed to keep U.S. competitive in the global market place. SOCMA asked Congress to strengthen it and make the credit permanent. Regulatory Reform: New studies show that chemical manufacturing output could be reduced over the next decade due to the cost of government regulations. 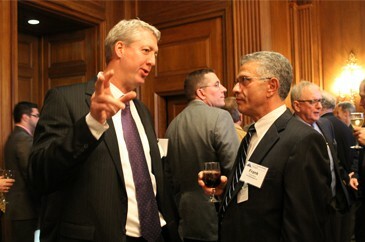 SOCMA asked Congress to consider the economic burden of regulations on specialty chemical manufacturers like ChemDesign. “As a small business, we expressed our need to devote resources and intellectual capital on innovation of our processes. Tax credits for research and development will help us stay ahead of global competition and hire more employees to support process development,” states Mielke. Over the last few years, members who attended the event were instrumental in passing legislation to help the specialty chemical industry. Relationships formed at the Fly-In have also led to Congressional representatives visiting SOCMA member’s facilities. Which of the specialty chemical legislative issues do you feel strongly about? Join us on our Facebook page to continue the conversation. This entry was posted in News and tagged ChemDesign, SOCMA, TSCA reform, Washington Fly In. Bookmark the permalink.